At a TED conference in 2008, music conductor Benjamin Zander talks about the story of Shakespeare’s well-known play, Hamlet. In Act One, scene three, Hamlet finds out that his uncle killed his father. Now Hamlet must have his revenge. As the play progresses, Hamlet almost kills his uncle, but pulls himself back. He has many opportunities to get rid of his uncle, but somehow doesn’t finish the job. So, is Hamlet a procrastinator? This is the power of suspense in storytelling: the end seems almost inevitable, but then there’s more — to keep the story going. Let’s explore how this concept can dramatically improve your own storytelling and keep your audience completely focused on your content. In the video below, Zander explains how composers structure their music. They know the end point — and the notes they have to put in between the beginning and the end. Yet, they don’t quickly get to the end. Instead, they create suspense. Zander demonstrates with Chopin’s Prelude, Op. 28, No. 4. in E Minor. In that rapid-fire paragraph, Zander describes how Chopin has created suspense in music. Chopin knows that the final note has to be an E. He almost gets to the E note — and then pulls away. He does this repeatedly and deliberately, knowing fully well that we know the final note, but we have to wait. But how do we add suspense to our writing? Let’s say we want to talk about the power of preparation, and we have a great story about Michael Phelps competing in the men’s 100 metre butterfly event at the 2008 Summer Olympics in Beijing. Watch how the story unfolds with little bits of suspense. We’re not going to “hit the E note.” We’re putting in tiny elements that force the reader or listener to savor the moment. Getting from one point to the other may seem to be the goal of the story. After all, the story’s not supposed to hog the spotlight; it’s just an introduction that leads to the main content. And yet, we can’t be frantic while getting to the finish line. Olympic swimmer Michael Phelps had a routine. A few minutes before each race, just as his name was announced, he’d step on the starting block, then step down. He’d swing his arms thrice as he’d always done since he was 12 years old. Then, he’d step on the block, get into position, and when the gun sounded, he’d leap into the pool. But this was no ordinary pool — this was the 2008 Summer Olympics in Beijing. And it was no ordinary quest for gold. Michael Phelps was aiming for eight gold medals — something no athlete had accomplished at any Olympic games. However, the moment Phelps hit the water, he knew something was terribly wrong. Water surged through his leaky goggles, blinding him. As the other swimmers raced alongside him, Phelps was unable to see the bottom of the pool. At the halfway mark, Phelps was trailing behind his arch rival, Milorad Čavić. It looked like Čavić’s threat of beating Phelps in this event was about to come true. But Phelps isn’t in Beijing anymore. He’s in a darkened pool — in Michigan — running through his training routine. His coach, Bob Bowman, believed that Phelps needed to be ready for any surprise. He’d trained Phelps how to react to a goggle failure, both physically and mentally. And now Phelps is back in Beijing, counting the strokes. Would he need 19 or 20? Or perhaps 21? At 18 strokes, he knew he was near the wall because he could hear the roar of the crowd. But were they cheering for him or for someone else? He couldn’t tell because he was swimming blind. Nonetheless, he made a huge surge with his arms outstretched, hitting the Omega touchpad. Had he won? Or was he in second place? When Phelps finally looked up at the scoreboard, his face broke into a grin. He beat Čavić by one hundredth of a second. Phelps had the gold — and a new world record. It’s an action-packed race to the finish, and yet, at one point there was a severe pullback. Phelps was no longer pounding the water. There was not a spectator in sight. He was back in Michigan, in the darkened pool, away from all the chaos. That bit — that tiny bit — sharpens the story, doesn’t it? The reason that part is so magical is because it changes the direction of the story and creates a counterflow. If your story is upbeat and positive, the counterflow is a touch of misery. If your story is all gloom and despair, the contrast surges from hope and happiness. If your story is all speed, the contrast would slow it down to a crawl. The moment you create a factor of contrast, you’ve got your audience’s attention. But the moment you add suspense, you take your story to a whole new level. And then, finally, you’re home. Next article: What Could Happen if You Launch a Podcast in the Next 30 Days? Great read Sean. I’ve watched that Ted talk several times (got a little choked up a few), but I’ve never made that association to drama-infused writing. Very cool. Hah. I saw it many times before as well. It took time to see the depth of what he was saying. Great read. You know, in a way I know this stuff, and have implemented it in life before – mostly for my own creative ventures – but I completely forget it when it comes to my role these days as a content creator (not just for me but for my clients). I’m making this a must-do approach in upcoming projects – so, thanks! 1) About “I know this stuff”. I make this mistake all the time, and then I have to stop and ask myself—isn’t there more depth to this “stuff”. When I’m quiet, I hear a lot more and can implement a lot better. 2) The application: Just because it is used in one place, doesn’t mean it’s the end of the road. How can I apply it in watercolours, just as well as in music, as in sales or podcasts? The applications are what matter and porting the concept across is what I have to do—or I risk becoming like the idiotic side of me that says, “I know this stuff and I’ve done this stuff”. Sean, I really love how you break the “story telling” down. This is very helpful, not only to me, but I know to others as well. I have always considered myself a great salesman……and not because I was your typical salesman all “pushy” or “aggressive,” but because when you sat in front of me, I genuinely wanted to solve your problem/challenge and provide great value to you, regardless if you bought from me that day or not. And I used a many analogies and stories to allow my customers to understand where I was coming from. It sounds like I need to get back to my roots and start writing like if I was sitting in front of someone face to face back in the office. Yes, sales is a transfer of enthusiasm from one person to another. The pushy stuff—that’s for amateurs and greedy people. Wow! What a breath of fresh air to see an in-depth look at an essential element of storytelling. Can’t wait to apply this to my next sales letter. Thanks Alaura. Would love to know how you use it. Very interesting! Very true as well, I read much faster and more intently when there is suspense in the story – I can’t help it. Excellent advice, thank you for writing this. I need to try applying this to my blog writing in the future. I don’t do as many stories, but this is very inspiring to put more into my writing. Stories are what hold the attention. After a while, information becomes tiring. Notice how fidgety you get after even 12 minutes of pure information. That’s because information is a lot of to-do, more to-do and you get lost. It seems like it’s interesting but your brain goes into lockdown. The story gives your brain something interesting, entertaining, and also a break. If you look at the link to the podcasts (at the bottom of the article), you’ll find I use about 4-7 stories per episode. That’s over 300 stories in the podcast alone—per year. Then there are books, articles, presentations etc. Storytelling is magical. Use it more! Thanks! Really understanding the mechanics of good storytelling is critical to doing it well. There are so many important elements – it’s really hard to do well. Thank you for breaking this one down. This was an inspiring post. Thanks for the examples and the video is really fun! I like applying the same techniques in writing and music. The similarities are often over looked. Thanks, Sean! All too often I end rushing to get to the CTA without slowing things down. 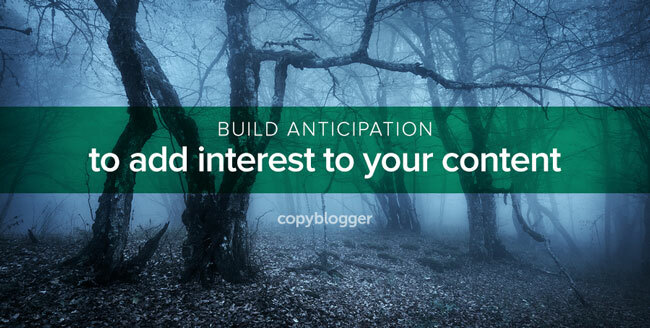 A good reminder that pacing and suspense play critical roles in selling and story telling. Hmmm, that’s weird. I must have got the facts wrong. Shows you that reading two books and endless articles on Phelps —and you still have to check to make sure. I didn’t know which event he participated in, or won those medals, so I got the information off the net. But even so, I needed to check several sources to see whether there was any discrepancy.